We know how long it takes to build a business from the ground up and how important it is to protect its physical assets. Our commercial clients need custom solutions for their business and that is where we shine. There are a number of demands that our commercial clients have in terms of material, door density, insulation, door clearance, etc. We have experts who carefully assess a business’s needs and develop garage door solutions that best suit their needs. Each garage door is built specifically for your business and each door is highly-customizable so that all your needs are covered. 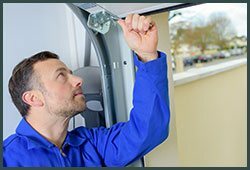 Along with installation and repair or replacement of garage door parts, Two Guys Garage Doors also provides periodic maintenance. This is very important for businesses that have heavy usage and are highly susceptible to wear and tear. We also help you in deciding which garage door will best suit your requirements. Our experts will carefully understand your needs, analyze your property and based on your budget make recommendations that will best suit your needs. Due to heavy usage and greater emphasis on safe operation, garage doors need to have a rigid structure in place. 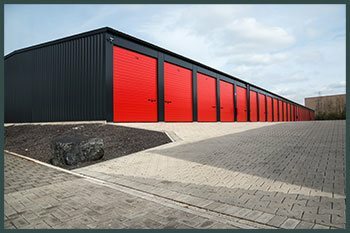 Commercial garage doors need to survive the vagaries of weather and at the same time work smoothly for uninterrupted operations. For all our clients, we source our products from the biggest manufacturers, both national and international. This ensures that our clients always get the best quality products and a wide range to choose from. Along with quality, we also make sure that all the materials that we buy meet the industry standards, can last longer than average and are prone to unexpected conditions. Call Two Guys Garage Doors on 503-683-7485 for all your commercial garage door needs in Portland, OR area.